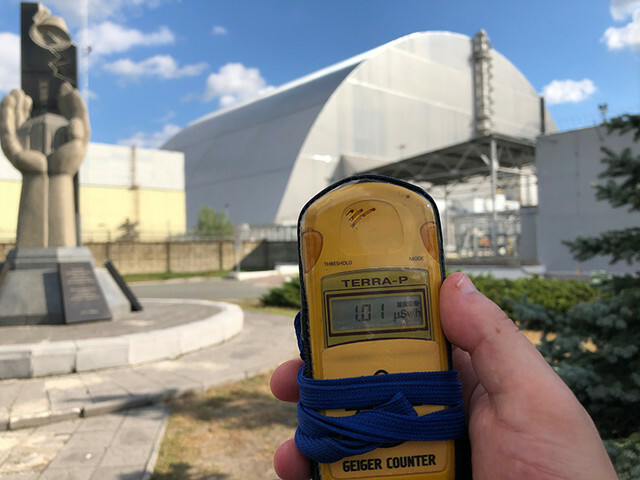 OP, when you were there did you run into any of the babushkas of Chernobyl. That's really fascinating. Did you have a tour guide with you? yep the group that i was in like 15 people..
Good post. I've done quite a bit of research on this subject and find it very interesting. Can you believe there are still several RBMK reactors still in operation? yeah actually today also there should be 3 or 4 reactors still running in Ukraine.. in Chernobyl other 3 reactors were working even after the disaster after some time they were shut down but initial idea seems deploying 6-8 reactors in that area.. there even unfinished constructions from that time around the area..
yco....great post. Did you watch Chernobyl Heart? Documentary from 2003. My Aunt, Maryann DeLeo won an Academy Award for it. I was at the award ceremony with my family. She went to all those places, and had to wear protective equipment for some high radiation zones. But the saddest thing is how the land is so contaminated still all these years later, which has caused high numbers of birth defects and disease. thank you.. and yes i watched it before but i can watch again though cheers.. Thanks for putting that together. Visiting Chernobyl is on my list. Any other video/photos to share? yeah i have but i used the best ones in the video.. though this one is not in the video also.. wish i took a vid of this scene.. i donno what i was thinking.. Excellent video - respect to operator! What music is in the video? Just watched a video last night of this, where scientists went back in to see what the affects have been so far. Their findings were fascinating as mother nature has been slowly adapting and cleaning herself up, and things like horses, and the fish in the water and such have been modifying their DNA to survive. Fukashima is terrifying as I have a feeling with what's been leeching into the ocean, that we are still just scratching the surface of this one. This, as well as Base Camp on Mt. Everest are both on my bucket list to visit. As bad as Chernobyl and Fukushima are, it is going to pale in comparison as to what man made climate change is going to do. Plus how about the totality of events like WW2? As a whole that devastated the environment and the people in them far worse than these incidents. At least yet. Found this on the Tube today. It provides a pretty detailed accounting of the damage within the reactor building and all the efforts up to now on containment. PS..the background music is annoying at times. Pretty scary that Russia had no regard for human lives and they put all those people in harms way to closer that thing up. If something similar happen in the US or the EU, do you think they could force or pay people enough money to put themselves in harm way for a slow and painful death. Agree with the USSR and disregard for human life - this isn't even close to the most compelling example of that (read the Gulag Archipelago or look up the Belomor Canal). Hard to tell who was genuinely a brave volunteer, and who is being used for propaganda purposes. From a U.S. perspective this is an example though of where the National Guard and other military forces come in - just like rushing into combat.